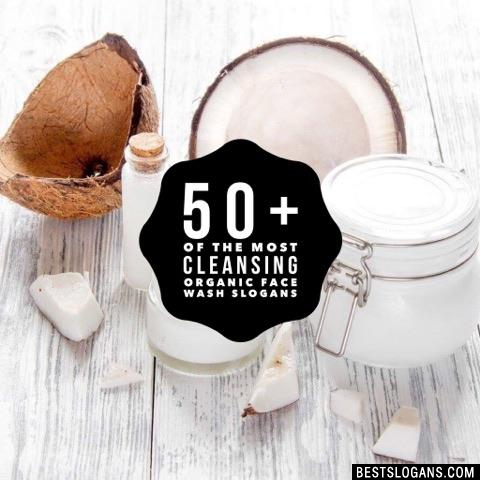 51 new entries added to organic face wash slogans, that include pictures. 1. Life is hard. Healing is easy. It's only natural. Tempting as it may be to scrub your skin imperfections away, this can worsen acne. If you completely stopped washing your face your pores would become clogged resulting in the development of serious acne. The skin could also experience a combination of severe redness, dryness and irritation from insufficient hydration. Tiny glands under the skin produce oil called sebum to protect the skin from the dangers of the outside world. Life is hard. 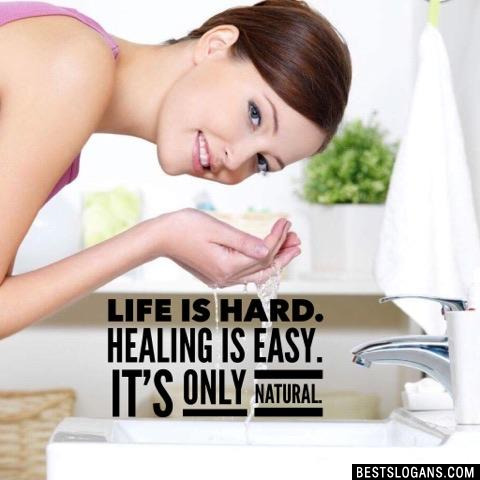 Healing is easy. It's only natural. 2 Purely. Surely. Skincare from the Ground Up. 3 Be kind to your skin... it's got YOU covered. 4 Put your skin in the loving arms of Mother Earth. 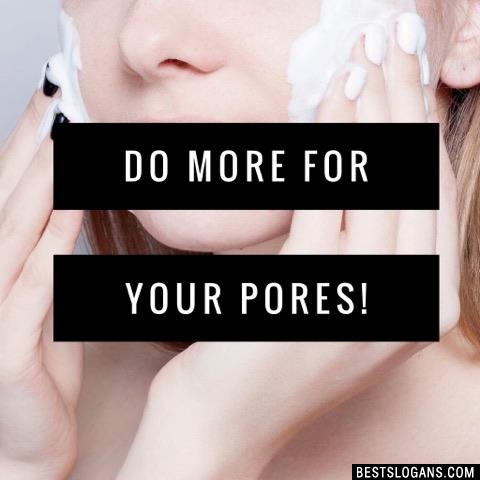 Do more for your pores! 10 Skin care from Love not from a Lab. 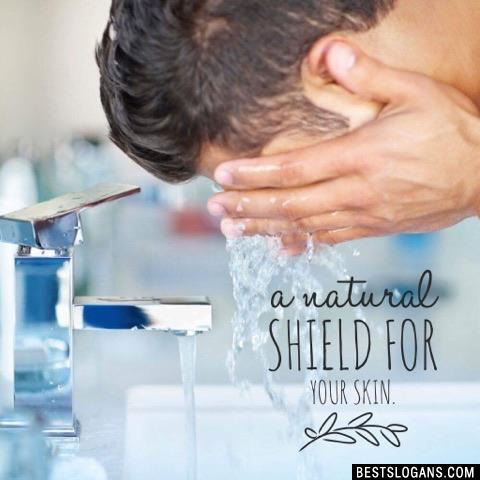 A natural shield for your skin. 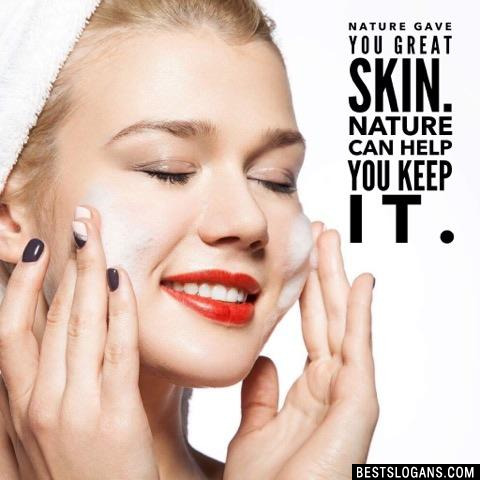 13 Let Nature Shelter Your Skin. 16 For great skin, do what comes naturally. 20 Beauty runs Den Deep. 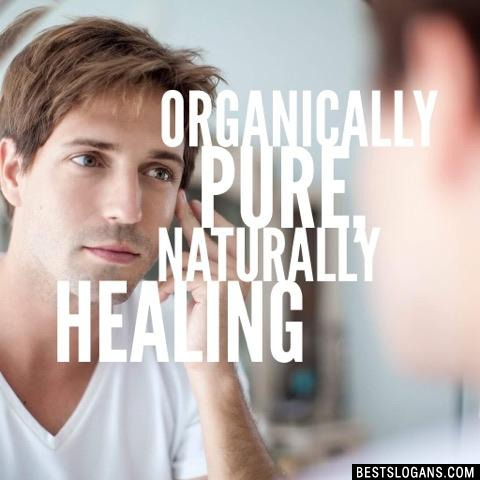 Can you think of a good Organic Face Wash Slogans we're missing? Or come up with a clever one of your own. Please share below.